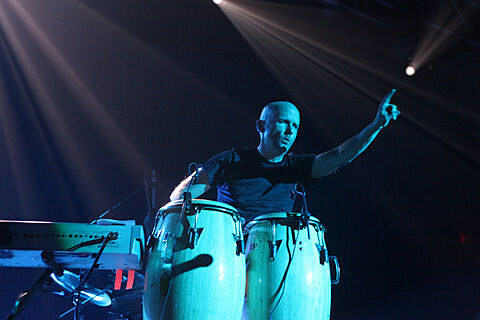 Moby was one of the commercially successful electronic musicians of yesteryear, but as popular taste shifted towards distorted synths and abrasive bass drops, Moby chose not to follow the pack. As a result, lately he’s been fitting more in with the growing underground (as we heard on his downtempo 2011 LP, Destroyed.) and when we asked him for his top 10 albums of 2012, his choices reflect that. In addition to his Mute labelmates Cold Specks and Liars, Moby’s list includes Hyperdub production wizards Burial and Laurel Halo, in addition to some synth driven indie pop like Grimes and iamamiwhoami. Moby is also DJing a TBA Brooklyn warehouse location on New Year’s Eve (Bedford L stop) with Lee Burridge, Kilo Watts, circus performances from The Gowanus Circus, and more acts TBA. Tickets for that show are on sale now. This New Year’s Eve, forget your passports and your tattered suitcases. Bring only your hunger for distant lands. The Wander will take you where you want to go. All you need is that compass, the one that tucked away somewhere deep inside each of us. You follow no magnetic north, hold to no absolute direction. The wind blows, you close your eyes. The compass needle spins and your destination chooses you. Open your eyes. Brooklyn is no more. In the air, heavy enough to taste…Spices. Indian saffron and turmeric, cardamom and coriander. Listen closely- Moroccan belly dancers step to the beat, their ankle bells chiming in notes of silver. Not too far off flamenco music plays in Spain, and beyond that, the golden glint of Paris’s Eiffel Tower. Look, a traveling circus. A thai bazar and a Malian kora player. Jamaican jerk chicken alongside Russian borscht, all under the shadow of the ancient pyramids of Egypt. This New Year’s Eve, the world is at your fingertips. It is underneath your toes. It is yours to walk on, to run along, to dance with, until the sun finds you once again.